Since time immemorial, doctors and nurses have been at the centre of the healthcare industry. Over the last couple of decades, we have witnessed a gradual change in the way the healthcare ecosystem has evolved – with the introduction of new technologies such as Internet of Things (IoT), artificial intelligence (AI), machine learning, augmented reality (AR), virtual reality (VR) and mixed reality (MR=AR+VR). With this evolution, medical electronics is gaining prominence and replacing traditional equipment with modern one, due to greater precision in measurement and evaluation. This also eases treatment by giving a better understanding of complicated ailments and courses of treatment. This is just the beginning of the introduction and integration of technology into healthcare. Technology is revolutionising healthcare in several ways such as adoption of laser tech helps in reducing surgery time and amount of blood loss during the procedure. Additionally, with rapidly increasing advancements in technology, telehealth and telemedicine have made medical diagnosis and treatment remotely accessible for everyone. Healthcare has a varied scope for immersive technologies, and the main reason for this is the huge amount of potential investment in the field of healthcare for research and development and well-being of the society at large. AR and VR, if applied in the healthcare space, can enable a host of things that otherwise would not have been possible. Preservation of dead bodies for training consumes resources excessively at medical institutes – in such cases, VR-enabled head-mounted display (HMD) devices such as Oculus Rift can be used at medical institutes for virtual surgical training wherein the scenario will be simulated and students can practise multiple times before getting into an actual surgical procedure. Simulation of a virtual human model can also help in getting feedback on how various body parts are being interacted with during surgeries. An invasive surgery is quite an arduous task, and such prior training, which is almost as good as operating on a live human body, will offer hands-on experience to doctors and act as a great rectification tool. Additionally, haptic feedback devices create an illusion of substance and force within the virtual world; this could be of great advantage during medical and surgical training. From a patient’s perspective, AR, VR and MR can transform consumer experience. Using VR in distraction therapy to simulate pleasant environments during difficult procedures such as radiation administered to cancer patients or treatment of burn victims has already proven effective. Revisiting old cases and histories of procedures and medical treatment through MR will help patients in a deeper and better understanding of the medical care given to them. This will also help doctors in comparing old and new procedures and enable improvement and innovation. The market in Europe and the United States has gradually begun adopting and integrating disruptive technologies in day-to-day lives, including healthcare services and products. However, the adoption of these immersive technologies is still in the nascent stage in India. It will take at least a decade for the healthcare industry in India to undergo complete transformation. A large population, fewer numbers of doctors, and lack of proper healthcare facilities in all parts of the country, make India a large market for integration of technology into healthcare. However, the challenge here is, the initial investment required from healthcare providers and a better understanding and acceptability of technology by doctors and patients. In addition to this, technology-enabled devices have not yet built trust and comfort levels among doctors and patients. They need to also get used to AR- and VR-enabled devices such as Microsoft HoloLens and heavy HMD devices, with proper training and practice. Innovative and immersive technologies like AR, VR and MR are being deployed in many fields for various uses, and healthcare can be one of them. VR can definitely be used in medical training and practice, planning or explaining surgical procedures, while AR can be used to augment the surgical field or operation table with paramount information that is not readily visible to the eye such as segmented sections of the patient’s anatomy. Therefore, the main question that needs to be answered is: Is healthcare the right industry for AR & VR and are we ready for it? The answer is YES. Both AR and VR have the potential to revolutionise medical and surgical training, and improve the quality of healthcare experience for patients. As experts in this area, we have to pave the way for increasing awareness, building confidence, empathy and trust, thereby making healthcare providers and consumers ready for this new wave. 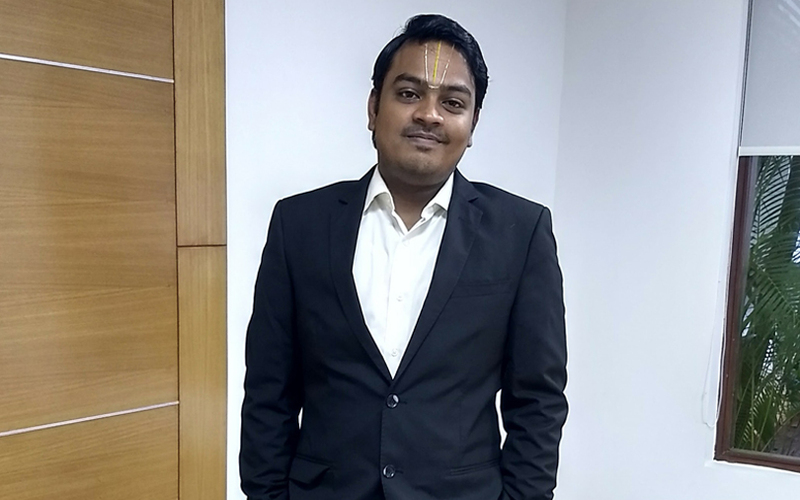 Sridharan V is visualisation engineer, extended reality, Tata Elxsi, which provides product design and engineering, as well as systems integration and support services. Views are his own.